This is the User Manual for Valkyrie2889. Valkyrie2889 is a PC application that enables you to perform advanced network tests according to the RFC 2889 specification using one or more of the Xena Valkyrie test equipment chassis. 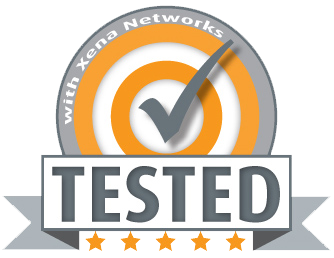 Enables the user to create, edit and execute test configurations using Xena Networks test equipment in accordance with RFC 2889. Ability to individually configure and enable the test-types defined in RFC 2889. Ability to flexibly define the protocol layers supported by the test (Ethernet, VLANs, IP, UDP, etc.). Ability to assign separate protocol layer definitions to each test port. Valkyrie2889 is a standard Windows .NET application supporting Windows XP (SP3) and all later Windows versions. It requires Microsoft .NET version 4.0. After installation you can find a shortcut to the application either in the Start -> Programs -> Xena Networks menu or (if you have selected this during setup) on your desktop. The application is installed as part of the Xena software release package which can be obtained here. Errored Frames Filtering: Supported with the exception of the “Dribble Bit Errors” and “Alignment Errors” tests. This section provides explanations for the terminology used by the Valkyrie2889. Denotes one of the test types defined in RFC 3918, sections 4 to 8, such as “Mixed Class Throughput” and “Multicast Latency”. A “trial” denotes a single execution of a test with a given set of test parameters. If the test configuration specifies that the tests shall be performed at various packet sizes a number of trials will then be executed – one for each packet size specified. Each test type can be configured to repeat the test a number of times. Each of these repetitions is called an iteration. One iteration may comprise several trials. The main Valkyrie2889 application screen is shown in the image below. At the bottom you also find a tabbed view containing a few status panels. These are also explained below. Selected Ports This panel allows you to include Xena testports in your test and to configure the behavior of these ports. 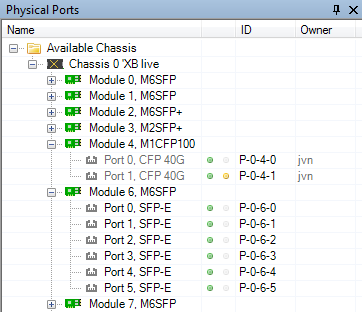 You select the ports in the Physical Ports view and drag them to theSelected Ports panel to include them in the test. General Test Configuration This panel control the common aspects of the Test Configuration, such as frame sizes and port rates. Test Types Configuration This panel control what tests you are actually going to execute and also handles the testtype-specific configuration options. Result Data This panel displays the test result data in a grid view. Both the progress counters and the final test data is shown. Progress counters are shown using an italics font whereas the final data is shown with a normal font. This section will help you getting started using the Valkyrie2889 by showing a few simple examples on how to create and to execute various tests. The Valkyrie2889 program is installed as part of the Xena software tools installer. The latest version of the installer can always be downloaded at the Xena website. The Valkyrie2889 tool requires the Microsoft .NET Client 4 framework. This example explains how to create and execute a simple rate test using two testports. A “rate test” is a test that focus on the throughput and forwarding aspects of the DUT. All the tests defined in RFC 2889 sections 5.1 to 5.4 are considered to be rate tests. These tests mainly differ in terms of the used network topology and traffic direction but the basic test methodology is the same for all rate tests. In this example we will use a Full Mesh topology with three testports, using plain Ethernet traffic. Click the Add Chassis button in the toolbar and enter the IP address and password of the Xena tester you want to use. Keep the default value of 22606 for the port number unless you know that your tester is configured with a different port number. Press OK. The Valkyrie2889 will now connect to the chassis and display all available modules and ports in the Physical Ports panel to the left. Locate three testports that you want to use in the Physical Ports panel and ensure that they are connected to your DUT. Select each port in the treeview, right-click and select the Add Port to Test Configuration menu option in the popup menu. You can select multiple ports by holding down the <Ctrl> or the <Shift> button while clicking with the mouse. Change to the Selected Ports panel. You should now see the three ports you selected previously. Leave each port configuration at its default value. Change to the General Test Configuration panel. If you know that your DUT has a throughput that is lower than the physical port speed by several orders of magnitude you can lower the used test port rate in the Overall Test Port Rate section at the top-right. Otherwise you may leave the general settings at the default values. Change to the Test Types Configuration panel. You will now see a treeview to the left containing all defined tests. All tests are enabled by default so you should start with clicking the “Disable All Tests” button at the bottom of the treeview (this is the button with an empty square image). You can also disable all tests by clicking the checkbox to the left of each test. Re-enable the Full Mesh rate test at the top and select the entry in the treeview. This is display the test options for this test in the configuration panel to the right. Note the list at the bottom of the configuration panel which show all the selected ports. Press the Select All Ports button at the bottom of the configuration panel. This will include all the selected ports in the current rate test. Leave all other configuration options at their default values. Select the Save … menu item in the File menu (or press <Ctrl-S> in order to save your configuration. Give the configuration a suitable filename. Press the Start button in the top toolbar (or press <Ctrl-T>). The test will now start. The Result Data panel at the bottom will display both progress information while the test is ongoing and also the final test results. Progress data will be shown with an italics font whereas final test results will be shown with a normal font. Once the test completes a PDF report will be generated and shown using your default PDF viewer application. The overall result will contain one result for the throughput test and one result for the forwarding test. This example will show how to expand the above rate test using IPv4 test traffic. It expands on the previous example so we will only describe the main differences in detail. For the sake of variety we will use a Pairs topology instead of the Full Mesh topology used in the previous example. Start the application, and connect to a chassis as before. Select two testports that are connected to a DUT that support IPv4 traffic and add them to the Selected Ports panel. Change to the Selected Ports panel. For each port set the Protocol Segment Profile option to the “Ethernet / IPv4” profile. Select the IP Address cell for the first port. Enter the IP address you want to assign to this port. Note that the Gateway Address cell is automatically initialized using an educated guess for what the gateway address might be. Change the Prefix and/or the Gateway Address cells as needed. Configure the IP address options for the other port in a similar way. Change the General Test Configuration options as needed. Change to the Test Types Configuration panel, and disable all existing tests. Add a new rate test by clicking on the Add button located at the bottom of the test treeview to the left.The new test will be enabled by default. Set the topology to Pairs and the direction to Bidirectional. Set both ports to be used. Set the first port role to East and the other port role to West. Pair the two ports together using the Port Peer column. Save the configuration and start the test. This example will show how to configure and run one of the other test types. Select two testports that are connected to a DUT and add them to the Selected Ports panel. Change to the Test Types Configuration panel, and disable all existing tests, except the “Errored Frames Filtering” test. Select both ports to be used in the test. Set one port as the Source and the other as the Destination. The result will show the amount of frames transmitted and received in the various frame groups. This panel displays all available ports on the currently connected Xena chassis. It is possible to connect to multiple Xena chassis at the same time. Protocol Segment Profile The protocol segment profile to use for this port. Profiles can be created, edited and deleted in the separate Protocol Segment Profiles panel. Inter-Frame Gap Specifies the minimum gap between frames generated for a port, expressed as a number of bytes. Speed Reduction: Specifies an optional speed reduction on the transmit side of the port, expressed as a ppm value. Enable PAUSE Mode: Controls whether the port responds to incoming PAUSE frames. Enable Auto Negotiation: Controls whether auto-negotiation for the port is enabled or not. It is possible to change settings on multiple ports at the same time by selecting multiple ports in the grid view and then changing settings in either the grid view or the detailed settings panel below the grid. The only setting that does not allow this is the IP address field, as this must always be a unique value. This panel controls the test options that are common for all tests. The various sections in the panel are described below. This section allows you to specify the frame sizes to be used by the various tests. The available frame size options are divided into two groups, the “Fixed Sizes Per Trial” and the “Varying Sizes Per Trial”. As the name indicates the “Fixed Sizes Per Trial” group uses a single frame size per trial. It is possible to specify multiple frame sizes which will cause the test to be repeated for each frame size. The “Varying Sizes Per Trial” group will use many frame sizes for each trial. This is controlled by the hardware. Note that when calculating bitrates the average frame size will be used. Also note that the Errored Frames Filtering test will not used the frame size setting as it uses its own frame size setup as part of the test. A bit-rate (Bps) value at either layer 1 or layer 2. Below the controls you can see the resulting percentages or rates for all selected port types. Note that the Address Caching Capacity and Address Learning Rate tests do not use the overall test port rate as they utilize their own rate definition. The Congestion Control and Forward Pressure tests also do not use the overall test port rate as these tests are always performed at port line speed. Use Micro-TPLD if needed: The normal Xena test payload (TPLD) section takes up 20 bytes and is used for various purposes, such as latency measurements, loss and misordering monitoring, payload integrity, etc. Due to this test payload it may be impossible to make room for protocol headers such as IPv4+UDP for smaller framesizes (e.g. ~64 byte). By enabling this option you permit Valkyrie2889 to use the smaller “micro”-TPLD if needed by the current framesize. The consequence of this will be that realtime monitoring of packet loss is no longer possible. Note that Valkyrie2889 will only use the micro-TPLD for a testrun if the current framesize requires it. If you for instance use the default IEEE packet size distribution you may encounter that the micro-TPLD is only used for 64 byte packets but not for the other packet sizes. TID Alloc.Scope: Determines how Valkyrie2889 allocates test payload identifier (TID) values. Configuration Scope: Allocates a unique TID value for each stream created. This option ensures that only packets intended for a given port is taken into account. The downside is that for large configurations you may quickly run out of TID values due to hardware constraints. Rx Port Scope: Allocate TIDs so that all streams received on any given port have a unique TID. TID values are reused between ports. This allow for larger configurations but the test is no longer able to detect if packets are mis-delivered by the DUT. Source Port ID: Allocate TIDs so that all streams from a given port is set equal to the port index in the configuration. This is a slight variation of the previous method. Latency Mode: Specifies the way the latency value is calculated. Refer to the description of P_LATENCYMODE in the ValkyrieCLI Manual for a description of the various values. Toggle Sync State: If checked the sync state for all selected ports will be toggled off and on at the start of each test trial. This is done to ensure that the DUTs MAC-tables are cleared at the start of each test. Note that the Address Caching Capacity and Address Learning Rate tests do not use this option as they use their own definition. Sync State Off Period: The number of seconds to keep the port sync state off. This panel allows you to select which tests are executed and configure their parameters. All available tests are shown in the treeview to the left. You can select if a test is executed by using the checkbox to the left of the test name. You can also use the two small buttons in the toolbar at the lower part of the treeview to quickly enable or disable all tests. To inspect and optionally change the test options for a test, select the test in the treeview. The associated test options will then be displayed in the configuration panel to the right. Each test contains a port role configuration control at the bottom of the associated configuration panel. This control enables you to select which of the selected ports should actually be used in the test and also to configure the role that each port should play in the test. The RFC 2889 defines several types of rate tests, but these are typically not possible to execute using the same test setup as the required cabling and equipment will typically differ quite substantially. Instead the Valkyrie2889 allow you to create and define the number of rate tests relevant for the actual DUT. The Throughput test, which attempts to measure the maximum zero-loss rate for the DUT. This test is an iterative test and will provide exactly one test result. The Forwarding test, which performs a rate sweep and measures the loss at each rate. This test provides one test result for each tested rate in the rate sweep. You can enable either both these subtests or just one of them. To create a new rate test press the Add button located at the bottom of the test treeview. You can configure both the topology and the direction for the rate test, and also set the port roles for the test. To delete a rate test select the test and press the Remove button located at the bottom of the test treeview. This section describes the options available for the various test types. This section describes the test options found in all or most tests. Duration: The duration of each test trial in seconds. Iterations: The number of times to repeat each test trial with the same set of test parameters. Test Label: A text label for this rate test. Use this to assign a short description of the purpose of the test. Mesh: All testports send traffic to all other testports. The Direction option is ignored as Mesh traffic is always bidirectional. Blocks: Each testport is placed in either the East or the West block. Every port in the transmitting block sends traffic to every port in the other block. The Direction option determines if only one block or both will be transmitting. Pairs: Each testport is placed in either the East or the West block. Then the ports are paired together two and two. Traffic is only flowing between paired ports. The Direction option determines which ports will be transmitting. Direction: Determines the direction of the test traffic. Enable Throughput Test: If checked, the Throughput test will be executed. This is an iterative test that will find the largest throughput rate with zero loss for the DUT. Initial Rate: The starting rate to use. This is specified as a percentage of the overall port rate defined in the general test options panel. Maximum Rate: The maximum rate to use. This is specified as a percentage of the overall port rate. Minimum Rate: The minimum rate to use. This is specified as a percentage of the overall port rate. If the iteration reaches this value the test is stopped and the result will be FAILed. Resolution Rate: The trial stops when the difference between the current and the last successful trial is less than the Resolution. Enable Forwarding Test If checked the Forwarding test will be executed. This is a rate sweep test that will measure the forwarding rate and the loss for the DUT at various transmit rates. Start Rate: The starting rate percentage used in the test. End Rate: The ending rate percentage used in the test. Step Rate: The rate step increment. Used? If checked the port will be used in this test. Port Peer Used to pair the port with another port. Only available when Topology is “Pairs”. This test does not use specific test options apart from the common test options described above. Interframe Gap Delta The difference between the default Interframe Gap (IFG) value of 20 bytes and the reduced value used on the source port. Accept. Rx Util. Delta: The acceptable receive rate utilization delta, i.e. the value with which the receive rate is allowed to exceed 100.0%. Initial Count: The starting address count to use. Maximum Count: The maximum address count to use. Minimum Count: The minimum address count to use. If the trial reaches this value the test is stopped and the result will be FAILed. Resolution Count: The trial stops when the difference between the current and the last successful trial is less than the Resolution. Learning Rate: The learning rate in frames/second to use. Toggle Sync States: If checked the sync state of the test ports will be toggled off and on between test trials. Enabling this may help clearing the MAC learning tables in the DUT and speed up the test. Sync State Off Period: The amount of seconds the port sync states will be off. Switch Test Port Roles: If checked the port with the Test and Learning roles will be swapped between test trials. Enabling this may help clearing the MAC learning tables in the DUT and speed up the test. DUT Aging Time: If none of the two options above are checked the test will wait for the specified seconds between trials to ensure that the MAC table in the DUT has been cleared. Fast Run Resolution: Enable this option to perform fast resolution of a testrun based on polled data – the testrun will stop when a packet is received on monitoring port. Learning Base Address: The first 3 bytes of the MAC addresses used for the learning test. It is necessary to use a different base address than the default Xena base address (04.F4.BC) when running a test using multiple addresses to avoid conflicts with other unused ports on the Xena tester. Start Count: The starting number of addresses used in the test. End Count: The ending number of addresses used in the test. Step Count: The address count step increment. Only Use Max. Capacity: If checked the test will ignore the start, end and step options and only run the test at the max. capacity. This option is only used if an Address Caching Capacity test has previously been run as part of the same test and a capacity test result has been found for the frame size in question. Otherwise the test will default to use the start, end and step options. Set End = Max. Capacity If checked the test will ignore the end count option value and use the max. capacity value instead. This option is only used if an Address Caching Capacity test has previously been run as part of the same test and a capacity test result has been found for the frame size in question. Otherwise the test will default to use the end option value. Base Learning Rate: The basic (i.e. maximum) learning rate used in frames/second. Note that the general port rate defined for the test configuration is ignored for this test. Initial Rate: The starting rate to use. This is specified as a percentage of the base learning rate. Maximum Rate: The maximum rate to use. This is specified as a percentage of the base learning rate and will typically be 100%. Minimum Rate: The minimum rate to use. This is specified as a percentage of the base learning rate. If the trial reaches this value the test is stopped and the result will be FAILed. Refer to the description for the equivalent options in the Address Caching Capacity test. Start Rate: The start rate to use in percent of the overall port rate defined. End Rate: The end rate to use in percent of the overall port rate defined. Step Rate: The step rate to use in percent of the overall port rate defined. Enable Oversize Test: If checked the oversize frames test will be performed. You can disable this if your DUT generally supports very large frame sizes and you don’t want to bother testing this. Max. Valid Frame Size: The maximum valid frame size you believe your DUT should support. Oversize Test Span: The number of oversize frame sizes to use in the test. The frame sizes used will be in the range [max. valid size + 1, max. valid size + span]. Min. Valid Frame Size: The minimum valid frame size you believe your DUT should support. This value should typically be 64. Undersize Test Span: The number of undersize frame sizes to use in the test. The frame sizes used will be in the range [min. valid size – 1, min. valid size – span]. This panel allow you to manage the protocol segment profiles used for the test ports. The Valkyrie2889 enables you to define an asymmetric traffic setup so that each port potentially can be configured using a separate profile. You can create and delete profiles to match the need of the current test scenario. To create a new profile press the Add Profile button. To delete a profile select it in the listview and press the Remove Profilebutton. You can however not delete a profile that is currently being used by a testport. You can see the number of testports currently using a profile in the “Use Count” column in the listview at the top. To delete a profile that is in use you will first have to reassign all ports currently using that profile to another profile. When you create a new Valkyrie2889 configuration it will be populated with a number of default profiles. You can however freely modify and even delete one or more of the default profiles. If for some reason you want to restore the default profiles you can press the Restore Default Profiles button. This will unconditionally remove all current profiles (also those that are in use) and restore the default set. All test ports will be associated with the first default “Ethernet-only” profile. You can edit each profile by selecting it in the top listview and using the treeview control below. To add a new segment header press the Add button in the Segments section to the right. You will then be presented with a dialog listing all built-in segment types from which you can select one or more types to be included. If you want to use a segment not currently supported by the Valkyrie2889 you can add a raw segment and specify the length in bytes. You can then afterwards edit the values in the resulting segment using the hex editor at the bottom. You can remove one or more segments by selecting them and pressing the Remove button in the Segments section. You can change the order in which the segment headers appear by using the Move Up/Down buttons. The Valkyrie2889 will automatically adjust the value of any standard “next-protocol” field (such as the EtherType field) in the segment headers when other segments are added, removed or moved. The segment editor provides a treeview similar to the one found in the Wireshark protocol analyzer. You can thus expand each segment branch to view and optionally modify the various field values. Each field title is preceded with a small icon indicating the type of field value (decimal, hexadecimal, binary or IPv4/IPv6 address). Certain fields, such as the EtherType, are associated with a set of commonly used named values. These can be selected in the Named Values column. You are however free to enter any value you want in theRaw Value column. You can also edit the hex value of the segment headers directly using the hex editor at the bottom if you are so inclined. The Source MAC (SMAC) address field in the first Ethernet segment will be set to the MAC address of the source port. The Destination MAC (DMAC) address field in the first Ethernet segment will be set to the MAC address of the destination port. If an IP segment has been defined and a gateway IP address is defined for a source port, the Valkyrie2889 will however attempt to resolve the MAC address of the gateway using ARP or NDP and wil then use this MAC address as the DMAC. The IP Source/Destination Address fields in the IP segment header will be set to the values configured on the ports, as explained in the Selected Ports panel section above. This replacement will however only be performed if you leave the fields at their default (all-zeros) value. If you specify anything else this value will be used instead. You can import the protocol segment structure from a PCAP file captured using Wireshark or any other capture application capable of generating a standard PCAP file. If the file contains multiple packets Valkyrie2889 will display a list allowing you to select the desired packet. Valkyrie2889 will attempt to decode the packet and display the known protocol headers and their fields. Any unknown fields will be displayed as a raw segment. As there are limitations in the max.size of a custom segment the import may not be possible in some cases. The import dialog will inform you about this if the situation arises. The Reporting Options panel contains a number of options that affect the way reports are generated for the test. Include Detailed Port Information in Report: If checked the report will also contain detailed rsults for each port. If unchecked only the totals will be reported. Include Charts in Report: If checked the report will include bar charts showing the test results. This is only applicable for PDF type reports. Throughput Unit for Charts: Use this to select whether to use frames/second ot bits/second as the unit for throughput charts. This section allows you to select which types of reports will be generated. You can enable several types. The generated report files will be given a file extension that matches the selected type, i.e. “.pdf“ for PDF files and so forth. In the Report formats section you can also activate the “Also Log Intermediate Results” option. It will log intermediate results for each test type to separate CSV logfiles (one for each enabled test type) located in the “ResultLog” subdirectory in the main Xena2889 Reports directory. The Result Data panel will display both polled progress data and result data for the tests being executed in a grid view. Each result will be shown in a single line in the grid. The polled progress data is updated periodically while the current test trial is executing and will be shown with an italics font. After the test trial has completed the result data for that trial will be calculated and shown with a normal font. The Result State column will shown the state of the current trial run. While the test trial is in progress the state will always be “(pending)”. A trial result may be final in which case the column will show either PASS or FAIL, depending on the test outcome. If the test needs to perform another iteration the state will again be “(pending)”. The columns used will depend of the test being performed. Most tests will provide a set of “totals” values and a set of per-port values but as stated this depends on the test. Most cell values will be displayed using the normal font color. Values that indicate an error, such as a non-zero loss value, will be displayed with a red font color. This panel will show any configuration errors detected by the program when you attempt to execute a configuration. If any such errors are found the panel will be shown and the execution attempt will be aborted. You will have to correct any reported errors before the program will allow you to execute the configuration. Each error will be shown in a separate line in the panel. If you double-click on an error message you will be taken to the relevant configuration panel that will allow you to correct the error. This panel is by default found in the lower auto-hiding panel group. By “auto-hiding” we mean that the panel is initially hidden but will popup either if the panel tab is clicked or if the Valkyrie2889 program decides that it is necessary to direct the attention of the user to the panel. You can make the panel visible always by clicking the little “pin” icon in the top-right of the panel header. The Valkyrie2889 supports a number of command line options which can be used to automate the execution of a predefined configuration file. Valkyrie2889 is part of a new series of Xena test tools series that does not require a separate executable file to perform the command line functionality. The same executable (xena2889_<version>.exe) is used for both the GUI and the command line functions. Please refer to this page for further details about troubleshooting the Valkyrie2889. ^ It may seem superfluous to have to select the ports you have already selected for the test. But several of the tests in RFC 2889 require a subset of the globally selected ports.